Willow Business Support – Helping business to realise its full potential and maximise profit. Helping business to realise its full potential and maximise profit. Willow Business Support has one fundamental aim: helping business to realise its full potential and maximise profit. Willow Business Support was founded by Susie Brindley, who identified a need to offer first class service and support to public and private sector businesses that are operating within the visitor economy, in the UK and overseas. Susie has a wealth of knowledge and experience to share with her clients, in a supportive, confidential and constructive way. Willow also works with a team of experienced and professional associates, who are specialists in marketing, training, research and event management. Willow assist business in its wider sense, including employers, self-employed, not-for-profit organisations, and can help entrepreneurs develop their ideas, and their business skills. •	To enhance individual business capability - through our day-to-day service provision, marketing, business advice, training and development and our advisory role. •	To make a tangible, positive impact on our clients and their business. •	To offer exceptional customer service, and to act in the best interest of clients at all times. Please do get in touch to discuss how we can best help your business or idea and work together. We pride ourselves at being honest and transparent and will openly tell you if we think we can make a tangible difference. Susie is a tremendous champion of Service Excellence and Professionalism in Business. Her specialist understanding of the Tourism sector is just one of her many strengths. 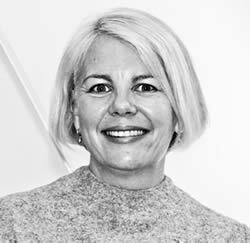 The breadth & depth of her experience, combined with her impressive network of contacts across a range of industries makes Susie a great source of knowledge, advice and inspiration. Bursting with enthusiasm and commitment to delivering excellent customer service, Susie will always go that extra mile for her clients. I’ve had the pleasure of dealings with her in both tourism and training sessions and found Susie to be utterly professional and delightful.